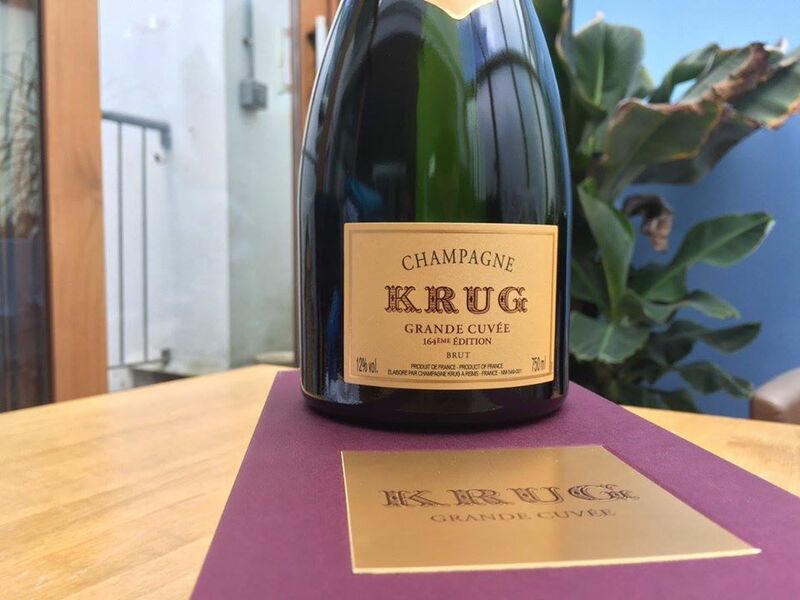 Ever since Krug announced that they would be chronologically numbering future releases of their non-vintage prestige cuvée (more on Krug Grande Cuvée Editions), we have been excitedly awaiting the launch of Edition 164. When meeting with Oliver Krug at the maison in Reims earlier this year, he explained the philosophy behind the introduction of ‘Editions’. 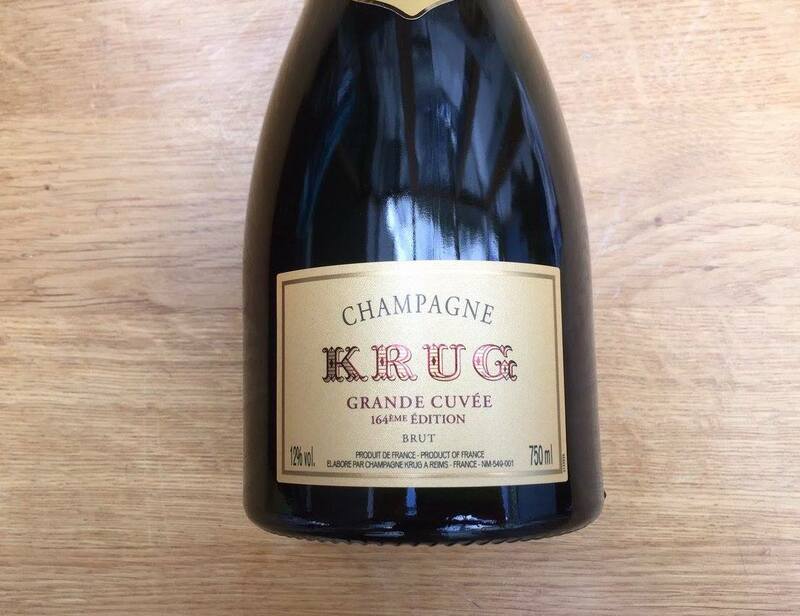 That it is a prestige cuvée uniquely re-created every year is Krug Grande Cuvée’s very raison d’être. Whilst quality levels are always maintained and the House style is ever-present, each year is a different assemblage of over 120 wines from more than ten vintages, with the latest base vintage contributing 50-70% of the blend. It stands to reason then, that each annual expression of Grande Cuvée is markedly different to the last. The House (correctly) believed this to be lost on the consumer, hence they are now clearly defined and released as separate ‘Editions’. Although each year is an entirely new blend, a base vintage contribution of over 50% obviously leaves its mark on the final product. 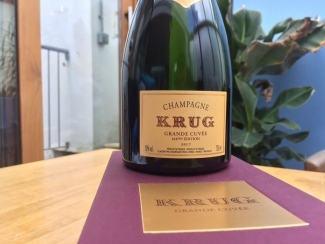 With 2008 emerging as the next best vintage of the decade to follow 2002, we’ve been keenly awaiting a Krug Grande Cuvée blend based on this harvest… and the wait is finally over! Released just a few weeks ago, we included it in our blind tasting of fifteen 2008s last month. 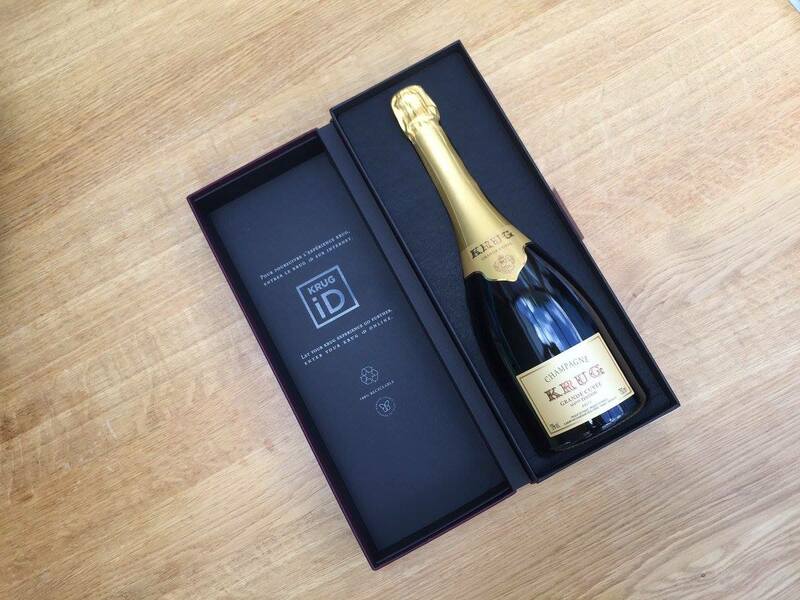 Receiving an impressive average score of 17.8/20 – from a panel that included Jancis Robinson MW and Giles Fallowfield – it ranked joint fourth, beaten marginally by two vintage champagnes from 2002 and just one 2008. Put simply, we were blown away. With all the classic oak-centred Krug style, Edition 164 is packed full of energy. Voluptuously elegant and intense, it has a delightfully tight acidity characteristic of the year. 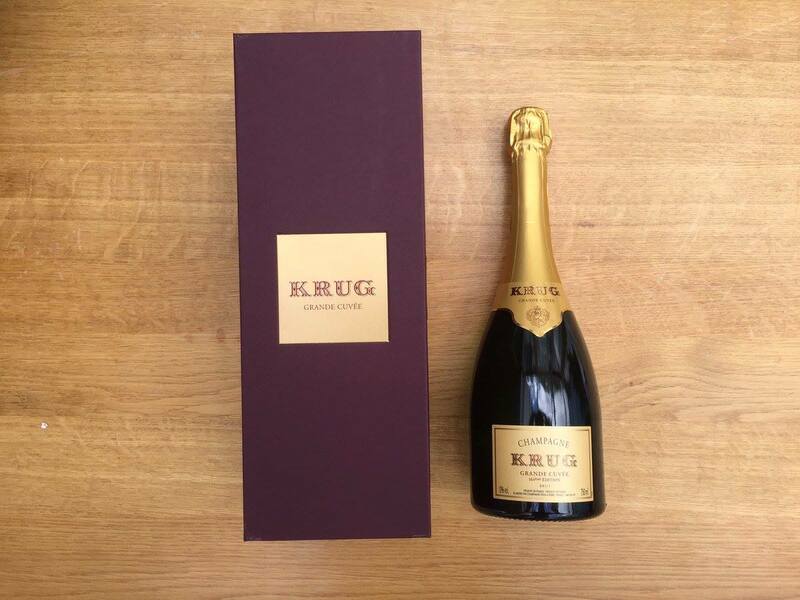 This is not just a wine that Krug connoisseurs will adore, this is a captivating jewel that should be in every champagne lover’s cellar. For such a spectacular release, the House have fittingly launched a new-design gift box (pictured left) that matches the luxury of the hedonism within. Read ours and the critics’ tasting notes below and buy Krug Grande Cuvée Edition 164 NV here to sample for yourself.